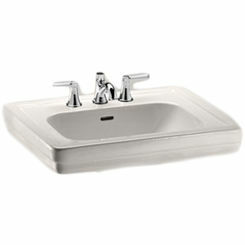 Size : 24" x 19" x 35-1/2"
If you need a replacement, this is one of the best places to save on pedestal sink tops. 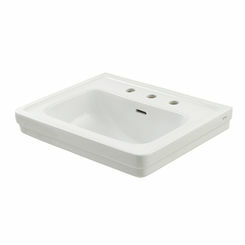 We have the most awesome selection available online for bathroom supply, so this is your spot for one-stop shopping. 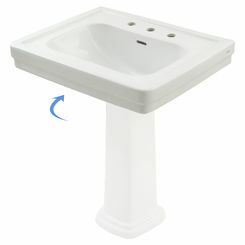 Check out all our options for pedestal sinks if you are looking for an entirely new installation. 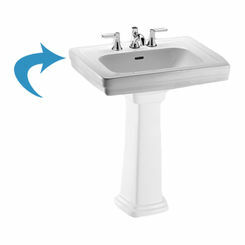 It's pretty common for the pedestal sink column to outlast the top. Save on sink tops made by the best names in the business, some of them include Toto, American Standard, and Danze. 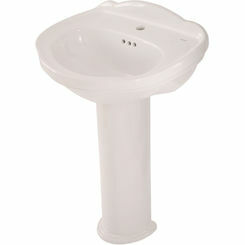 Pedestal sinks come in a number of different shapes and sizes. 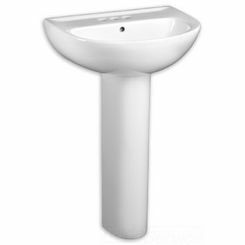 Whether you already have a pedestal or are looking to buy your sink top and column separately, finding the right top for your sink is very essential. There are a few things to keep in mind before you make your purchase. 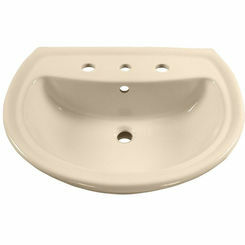 What color do you need? 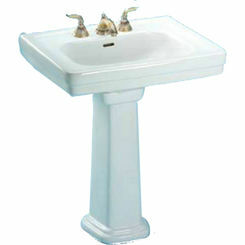 - If you already have a column for your pedestal sink it is critical to find a sink top that matches it. 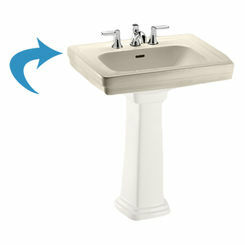 Try and identify the exact color of your pedestal so you can be sure and order a sink in the same color. 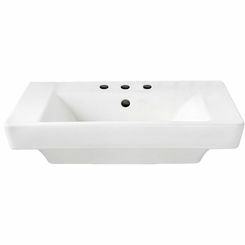 What shape and size work best in your bathroom? 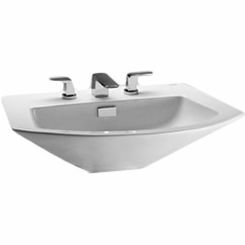 - If you don't have a lot of space to work with you don't want to order a sink which is going to take over your entire bathroom. Before ordering your sink, get out your measuring tape to measure the size of sink you will want to buy. 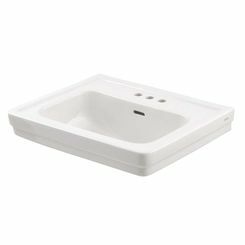 Where do you want your faucet mounting holes? - It sounds so simple but is very important. 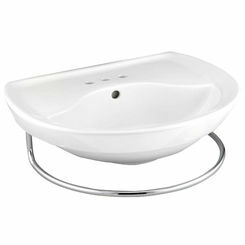 Before purchasing your pedestal sink you will want to figure out where and how many faucet holes you will need in your sink. 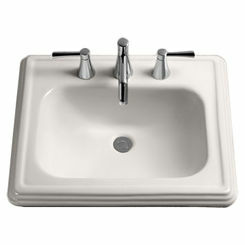 The type of faucet you buy will determine what type of sink you will want to purchase. 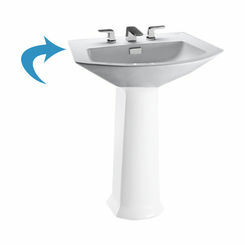 How difficult is the installation? 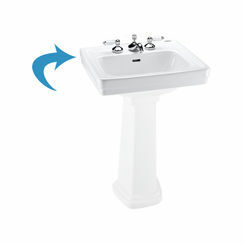 - Depending on the size, shape, and weight of your sink will determine just how hard it is to install. 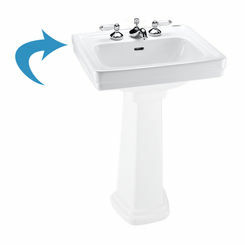 If you choose a sink which weighs less and is smaller in size it will be easier to install into place. 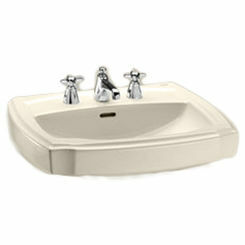 A bigger and heavier sink should always be installed with the help of a friend or family member. 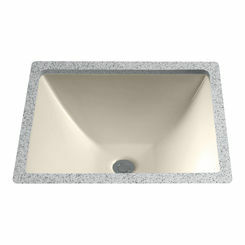 That way they can help hold the sink in place until it is installed properly to the wall. 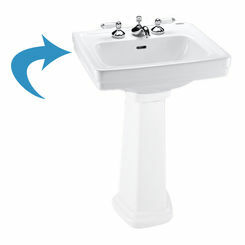 While you're at it, why don't you update your lavatory faucet? 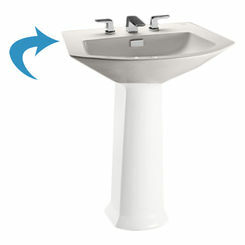 We have so many bathroom sinks to choose from, be sure to get matching bathroom accessories.